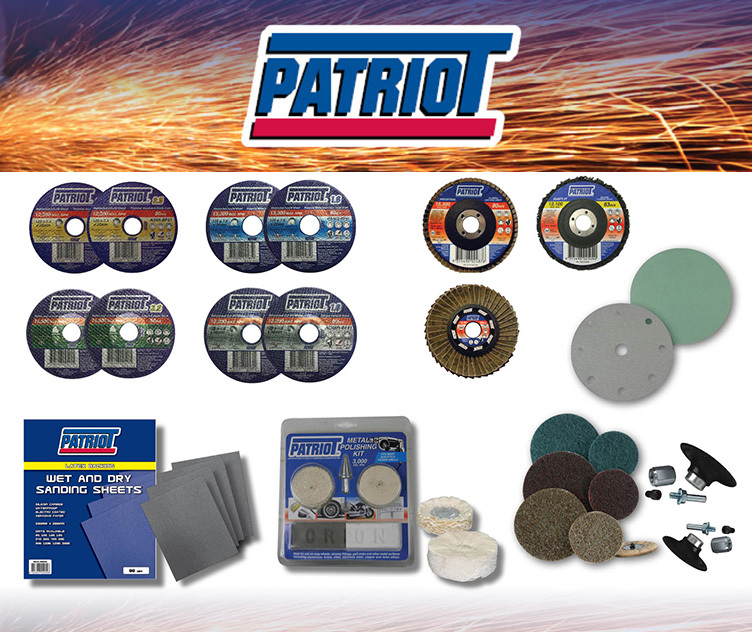 Patriot is our abrasives range. Made to a high quality but maintaining a competitive price. 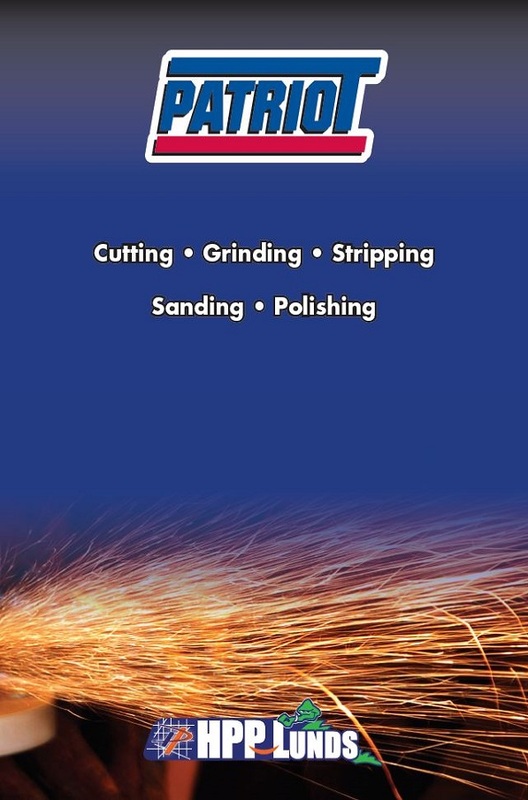 The range consists of Cutting Discs, Grinding Wheels, Flap Discs, Shift it Discs, Rolocs and Paper Abrasives. Patriot discs are labelled with a number of icons and codes to meet the Australian label standards. These are for safety reasons, where as other information explains to the user of the disc/wheel its material compound, thickness or recommended material application. All discs are colour coded to easily identify which material it is suited to. YELLOW is for Steel GREEN is for Masonry, BLUE is for Stainless Steel (Inox) and GREY is for Aluminium. Cutting and Grinding disc diameters range from 100mm to a large 356mm with thickness from the finest cutting discs of 1mm to grinding wheels of 6.8mm. As a general rule the thinner the disc the more suited it is for precision cutting of metals with the thicker disc sizes being designed for grinding. Steel Masonry Stainless Steel Aluminium. INDUSTRIAL FLAP DISC – Versatile, long life with heavy duty cloth with improved resistance to wear, 10 to 15 times more efficient than resin fibre discs, aggressive stock removal without physical effort required, minimal clogging, providing consistent finishing to profiles. Ideal for use on: Stainless steel, carbon steel, ferrous metals, nonferrous metals, timber, fibreglass, plastic and other hardened materials. Applications: Heavy Duty Industrial Uses FLEXIBLE FLAP DISCS – The disc flexibility offers users the ability to reach irregular areas and shapes providing a high quality finish to profiles. Patriot Wet & Dry Sheet Sandpaper There are many types of wet & dry sand papers on the market. The high end quality is known as Latex backing. Latex backing allows for greater strength, especially when wet, excellent flexibility and less clogging. The range of Patriot abrasive sand papers will certainly increase. We thought wise to start at the high quality end first. With coarseness starting at a 80 grit, all the way through to a superfine 2000 grit. You will be able to find the correct sandpaper for any job.